Nine of the 16 health systems in Connecticut ended 2017 in the black, according to a report by the state Office of Health Strategy. Collectively, the systems took in about $14.2 billion in the fiscal year that ended on Sept. 30, 2017. After expenses, this left about $580 million — a 4.1 percent total margin. The total margin in 2016 was 6.2 percent. 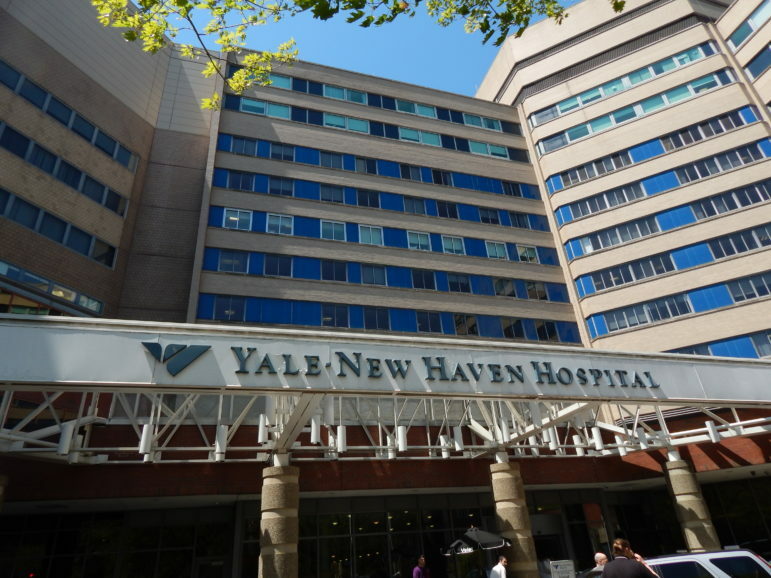 Some health systems only have one hospital, like Griffin Health in Derby, but also have outside medical practices, while others, like Yale New Haven Health, have multiple hospitals and an array of outpatient services. While the total margin was 4.1 percent, several hospital officials at Tuesday’s Health Care Cabinet meeting focused on the operating margin for the systems, which was -1.7 percent. The operating margin includes the expenses related to running the health system and the money the system takes in, such as payments from insurance companies. The total margin also includes other funding sources, like investments, endowments and donations. In 2016, the operating margin for health care systems was -0.9 percent. “If you look at the operating performance, it’s negative and it’s declining year over year,” said David Whitehead, executive vice president and chief strategy and transformation officer at Hartford HealthCare, after the meeting. Whitehead said the industry standard for a healthy operating margin is about 4 percent. “That’s really maintaining the investments we’ve made, including the investments in these medical groups, the investments in home care, and the investments in new modalities of care that don’t exist just within the four walls of the hospital,” he said. Frayne said that in 2015, hospitals provided $208.5 million in physician practice subsidies. In 2016, hospitals provided $237 million in subsidies. In 2017, they provided $241 million. The 150-plus-page report is crafted each year, using hospital audited financial statements, annual reports and other data submissions to the state. The report also includes detailed accounts of each hospital’s financial performance. OHS officials explained two one-time situations that affected the margins of Vassar Health Connecticut, which used to be affiliated with Sharon Hospital, and the University of Connecticut Health Center. Vassar Health reported about $27 million in non-operating revenue due to Sharon Hospital’s sale to HealthQuest. UConn Health Center received $322 million in state and capital appropriations, which also was reflected in the hospital’s non-operating revenues. Veltri said her office will be examining the hospital and health system report together with other data sets and reports, like the recently released facility fees study, to get a clearer picture of the state’s expansive and expensive health care system.